What’s better than a “shower beer”? Bringing a cold brew into a warm shower is likely one of the most universally loved activities among drinkers across the planet. 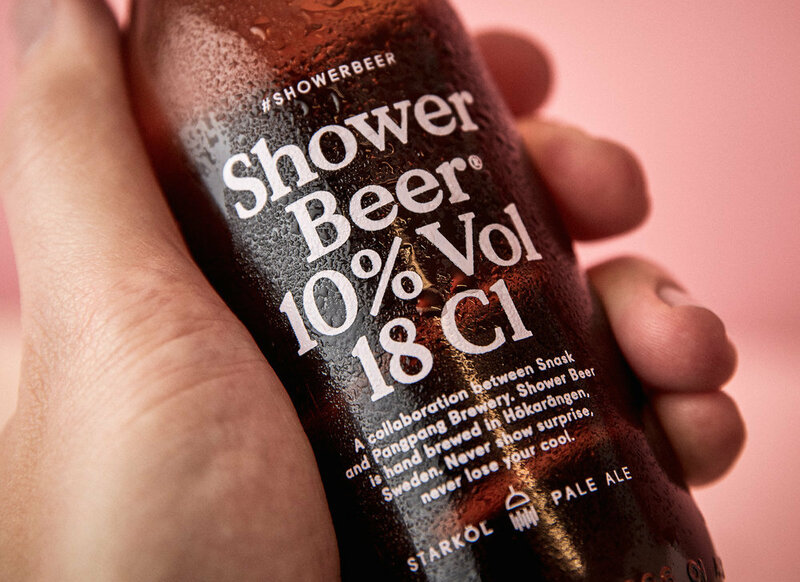 So thinks the Swedish Brewery PangPang, which recently launched Shower Beer. The new product was made in conjunction with the creative agency Snask. The goal apparently is for a quick boozy treat. The beer is 10% ABV, so that you don’t have to drink more than one to feel the effect. In other words, carrying a session IPA into the shower is hardly worth the effort. Secondly, the beer is small: 18 cl, or about 6 ounces. Space is already cramped on shower shelves by soap, razors, shampoo, and various other cleaning supplies. It can be difficult to place a beer in a spot in a shower that doesn’t feel like the bottle could slip and fall as easily as a soap bar. Put together and this little potent Shower Beer is an efficient way to start a night out — or an easier way to unwind after work. Snask said the first batch sold out “instantly.” A second batch is planned and will hit shelves in the U.S. as well as Europe.